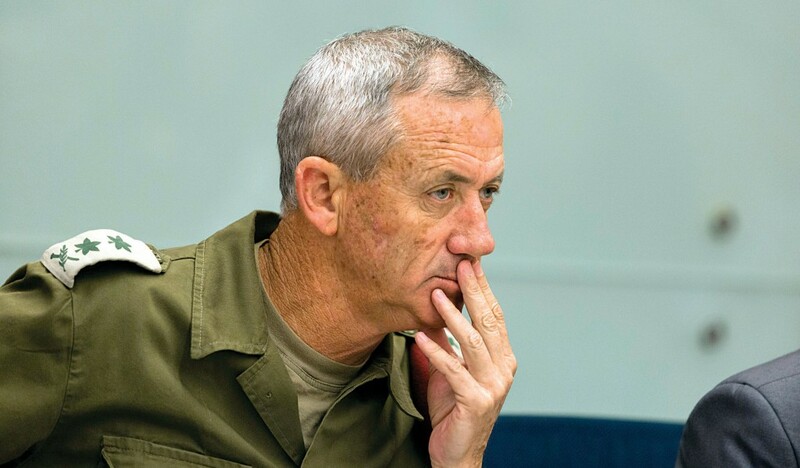 The Israeli Justice Ministry on Monday said the government has asked a Dutch court to dismiss war crimes allegations against Benny Gantz, an ex-IDF Chief of Staff who is challenging Prime Minister Binyamin Netanyahu in the elections. A Dutch-Palestinian man originally from the Gaza Strip is suing Gantz and the IDF’s former air force chief, Amir Eshel, for their roles in an airstrike on his family’s home that killed six relatives. The dead included a 72-year-old woman and a 12-year-old child. The ministry said Monday an internal Israeli military investigation determined the airstrike had killed four terrorists, including three family members, hiding in the house. It said the attack was permissible under international law, and argued the Dutch court does not have jurisdiction. Gaza’s Hamas rulers themselves have said that two terrorists were in the building.